A professional woman in her 40s, lets call her Helen, educated, accomplished, and independent, confessed that she was feeling miserable lately. She had begun seeing a therapist for depression. 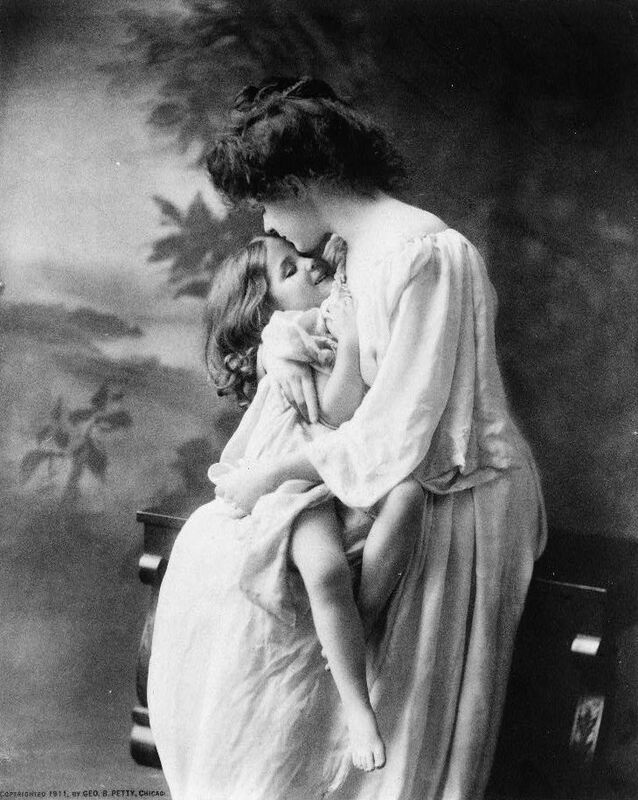 Her depression, she realized, had to do with the fact that she had never married and felt like her chances of betrothal and motherhood were quickly diminishing. She felt like a failure because she had not managed to fulfill her dreams of having her own family. To make matters worse, she felt guilty as the only daughter of her parents. Her inability to marry made them very sad and disappointed in their chances of experiencing the joys of grandmother and grandfatherhood. Although she had her own home, her own car, had time to devote to herself, was content in her professional life, she felt like a failure. She had missed the “love boat” and her chances of boarding it were slipping farther and farther as it sailed into the horizon every new year. Contrast Helen to Kate. Kate is also in her 40s, never married and childless. Yet Kate does not seem to mind her “spinsterhood.” She travels to exotic destinations and indulges in experiences not understood by the conventional lay person: diving with Jeujun Korean fisherwomen, trekking through the Kalahari, volunteering to teach English in Madagscar. She has a wide circle of friends. She relishes her freedom and the chance to live her life on her own terms. She does not feel as if she is a failure. 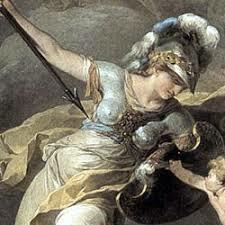 Although she does wish she could have had the experience of motherhood, she does not dwell on it. “It wasn’t in my cards,” she smiles cheerfully. What’s the difference between Helen and Kate, besides a totally different sizing up of their life and sense of contentment? Culture. Helen is of Greek descent. Kate is a Midwestern American. Considering the two, I cannot but wonder at the impact cultural expectations have on a woman’s marital status. It cannot be denied that Greek culture idolizes the traditional family. It sacrifices personal growth and self-fulfillment at the altar of marriage and the family life. Although I lack the research, I could swear that there is an implicit bias in living as a single person in Greek culture. A person cannot be “whole” unless he or she is married with children. It’s even worse if that person is a woman; then she must be deformed or dysfunctional if she is not. Helen’s parents, although they have no good reason, actually are ashamed of her. “Why aren’t you married yet?” they keep asking. As if marriage is some kind of developmental milestone, like losing your baby teeth. Greek culture makes it virtually impossible for a young person (excruciating for an older person) to carve an identity in and for him or herself as a separate adult without marriage. It is expected that everyone, both men and women, marry and have children. To deviate from this script is anathema. 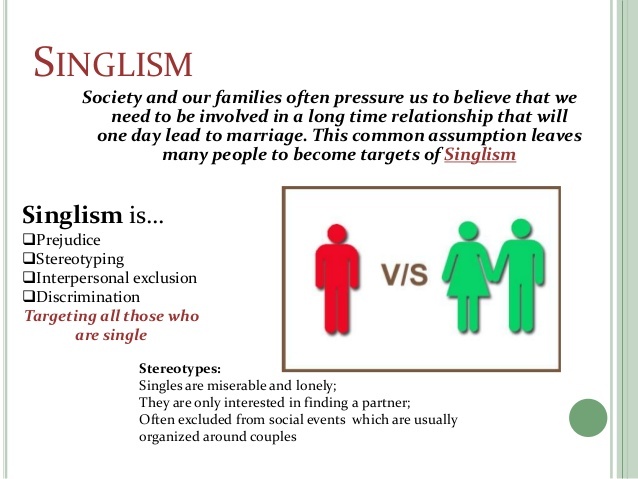 The stigma of singleness is so widespread that sociologists have named it “singlism,” or prejudice and discrimination targeted against the unmarried. 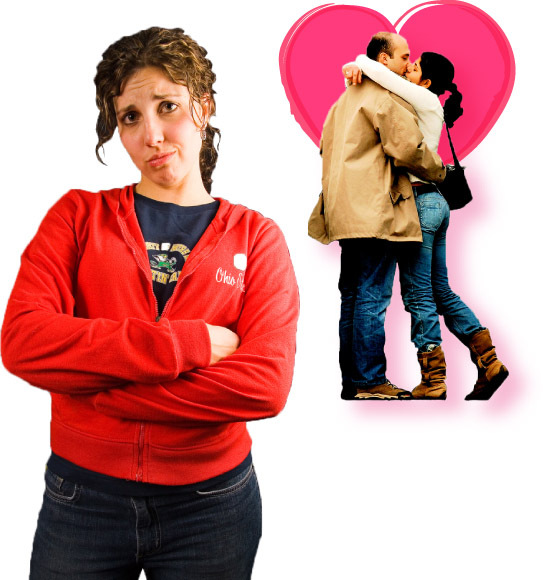 Research conducted over the past 20 years shows that unmarried persons are viewed as less likeable (Krueger, Heckhausen, & Hundertmark, 1995) and more physically unattractive, lonely, and shy than their married peers (Morris et al., 2004). Single people are particularly likely to be denigrated if they are deemed “responsible” for their solitary civil status.  Unmarried persons often are viewed as responsible for their single status due to some characterological flaw or “blemish,” such as promiscuity, immaturity, self-centeredness, or a lack of personal discipline (e.g., Davis & Strong, 1977; Morris et al. 2004). If singlism is strong in American society, it is downright a disease in Greek society. “Po, po,” the lady in the supermarket responds waving her hand in circles for emphasis, “you mean your daughter STILL isn’t married? And she’s 35! God help you.” I am sure many a mother and father of an unwed son and daughter weep in the silence of their rooms. The “disease” affects not just the child but the parents and the entire extended family. “O Theos na filai” God protect against the dreaded curse of singlehood. It brings shame to the entire clan. Acquaintances speak of the affected individual in whispered tones, “She Kiria Magda’s kore over there, she’s 45 and never married.” God forbid that happens to our daughter, they are thinking as they cross themselves. 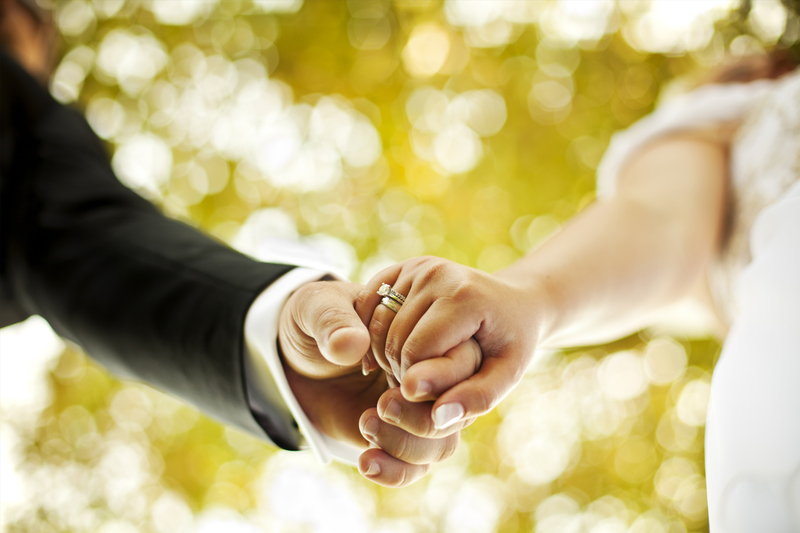 According to the Pew Research Center, “the share of adults who are married has been steadily declining for decades. 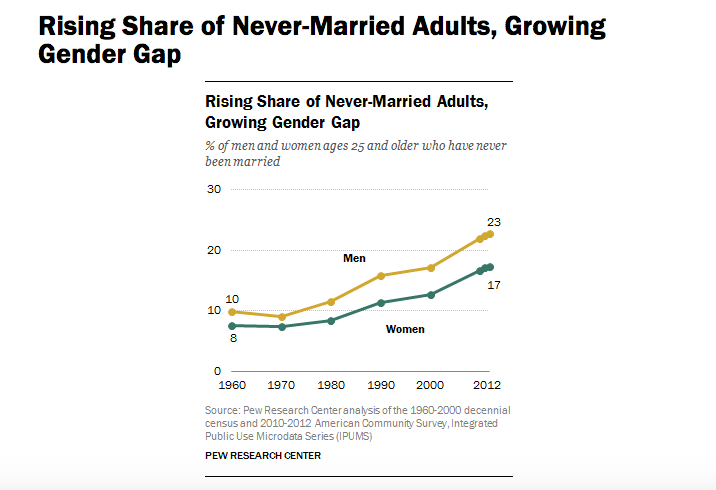 In 2014, just half of Americans were married, down from 57% in 2000. The obsession for the marital state is problematic in the light of the current statistical trends. 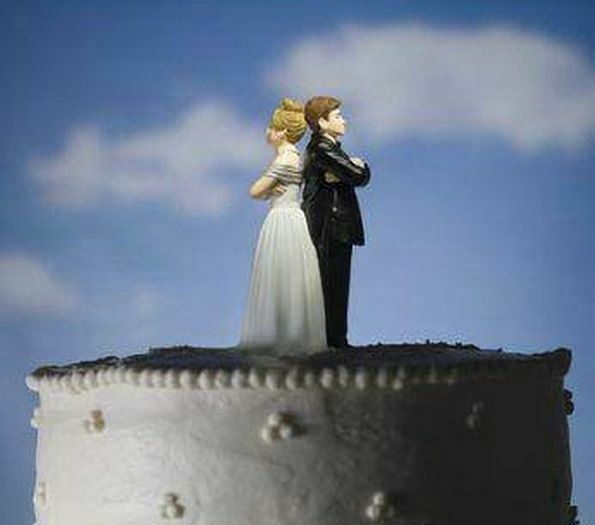 According to the Pew Research Center, “the share of adults who are married has been steadily declining for decades. 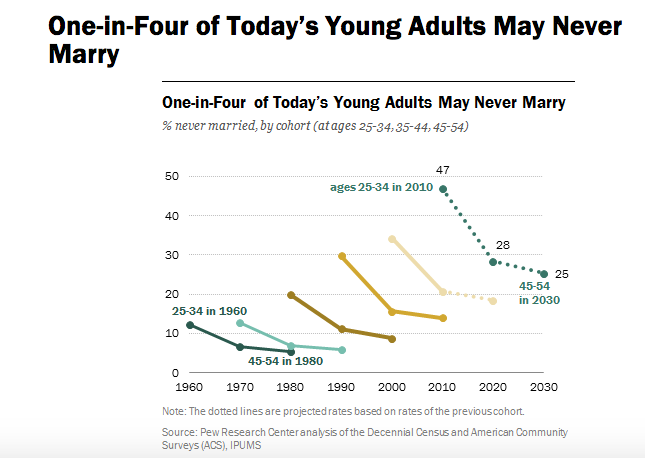 In 2014, just half of Americans were married, down from 57% in 2000. 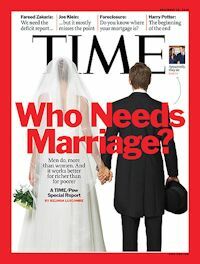 In 1960, 72% of U.S. adults were married.” Another study by the same center claims that one in 4 of today’s young adults might never marry. If this is the trend, then it is time we in the Greek American community, especially as women, critically consider what is at stake in our singlehood. We have to be conscious that sometimes it is our culture that makes us feel like we are failures even when everything else points to the contrary. We have to fight against the implicit bias in ourselves to denigrate our own self-worth and accomplishments if we have chosen whether consciously or via chance to stay single. Lets face it–one can live a very fulfilling life as a single person, sometimes even more so than a married one. An intimate deep circle of friends, a fulfilling professional life and career, the freedom and time to pursue one’s own goals and dreams, these are all ingredients of a life well lived. Choosing singlehood does not mean one has chosen to be isolated, lonely, or dysfunctional. In fact, a single person as an extended family member can be the needed third parent for a brood of troubled nieces/nephews. He/she can be a valued member of the family even without their own children. Marriage and parenthood are not the be-all of human existence: traveling around the world, finding the cure to cancer, volunteering in Africa, writing the next great American novel—they are all game. In the final analysis, I guess the matter goes beyond choosing which is better—staying single or getting married. The bigger matter is choice itself. Your culture has to allow you the freedom to make your own choice and not choose for you. And once you made the choice to respect you for it. It shouldn’t torture, shame, or pity you for making that choice.